The Lauren Teapot is here to help you claim your time back. 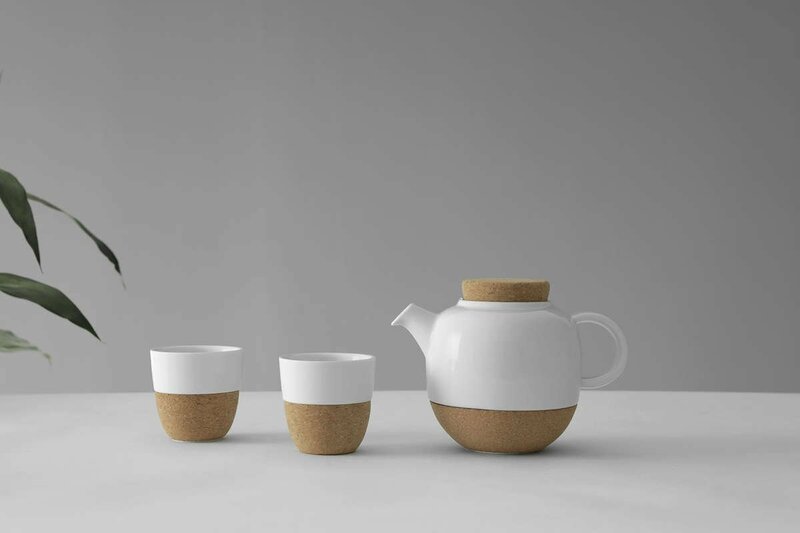 This beautifully refined teapot is made of crisp white porcelain and textural cork. It is the ideal companion for a quiet afternoon of contemplation or one spent catching up with an old friend. Size: L: 18.8 cm - W: 12.3 cm - H: 14.0 cm - Vol: 0.80 L / 27.00 fl. oz. Our teapots are made from our premium Cretasolis porcelain that is 100% lead and cadmium free. When you select the best tea you want to be sure that nothing is compromised let alone leaching harmful chemicals into your tea. 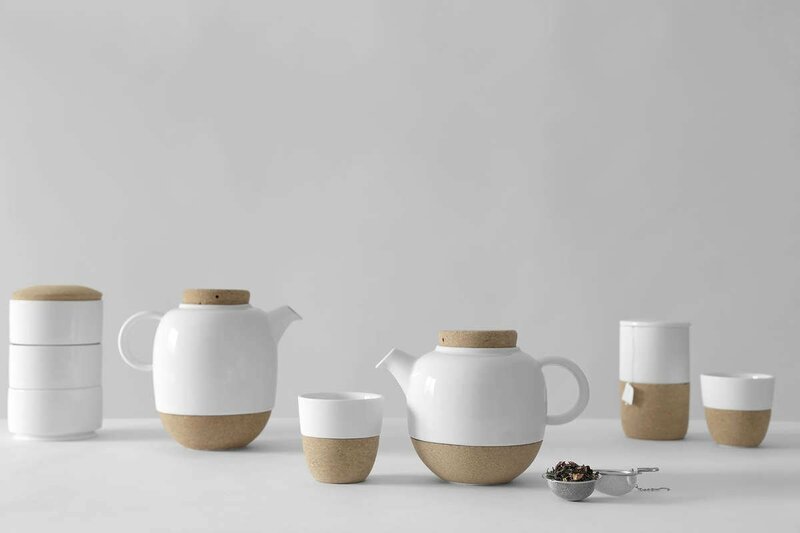 Our teapots have been designed with your health in mind so you can focus on enjoying your favourite beverage. 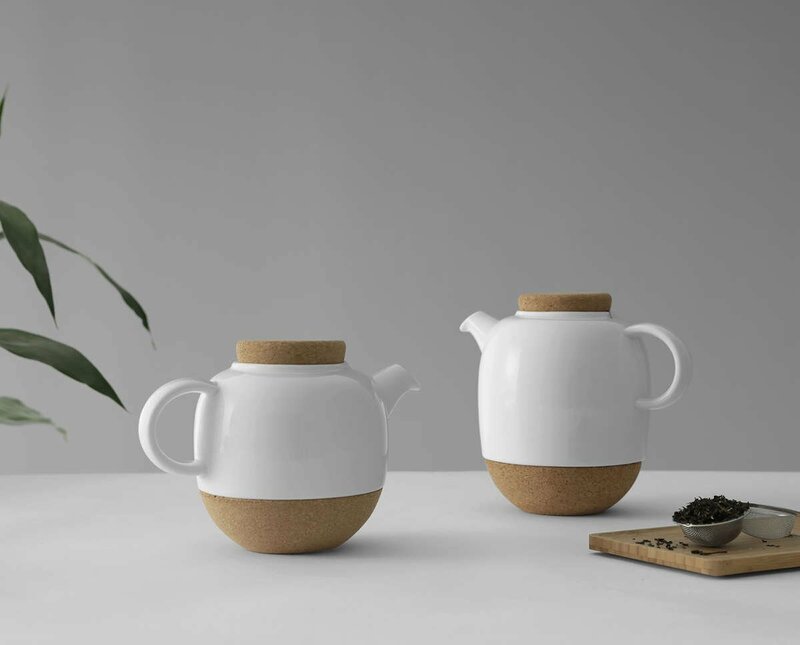 This lovely teapot is not dishwasher safe due to the cork, however it’s just as easy to hand wash like you would with any other dish. What’s the best way to boil my water? Can I heat this teapot on the stove-top? The best way to boil your water is to use a standard kettle, then transfer the water into the Lauren teapot to steep and serve your tea. This teapot is not suitable for use on a stove-top or microwave. The Lauren teapot has been finished with a glossy glaze. This gives it a tasteful classic look that suits most décors. The textural cork accents provide a wonderful contrast in both colour and texture. 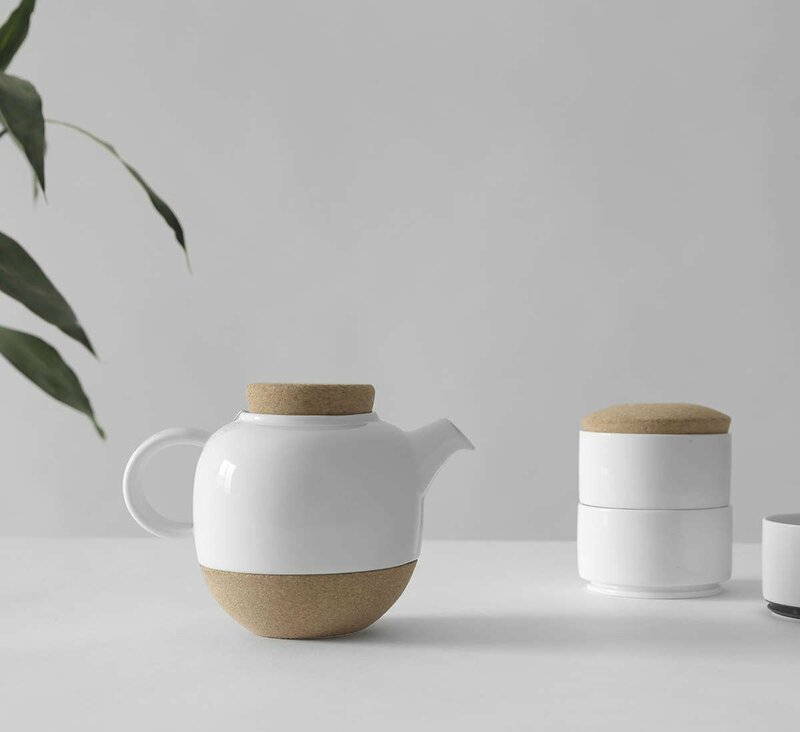 This 800 ml teapot will make enough tea for around three medium cups. It’s perfect for when you have a good friend over or for indulging alone.